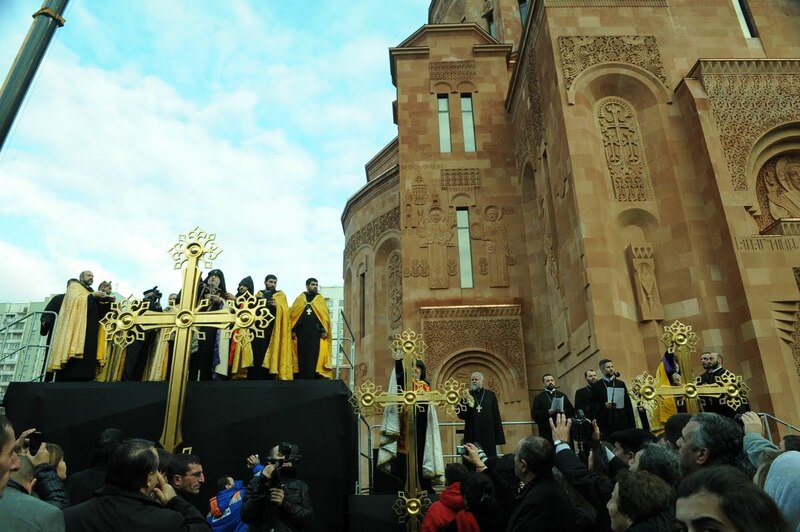 This past Sunday Catholicos-Patriarch Karekin II (Nersessian) of Echmiadzin visited Moscow to bless the crosses of the large Armenian Orthodox cathedral under construction there. Bishop Ezras (Nersisyan) of Novo-Nakhichevan participated in the ser vice with Metropolitan Hilarion (Alfeyev) of Volokolamsk of the Russian Orthodox Church also in attendance together with Armenian President Serzh Sargsian and other representatives of the Armenian government and the Armenian Diaspora in Russia. More here.